This month’s card class was “All About Birthdays”. 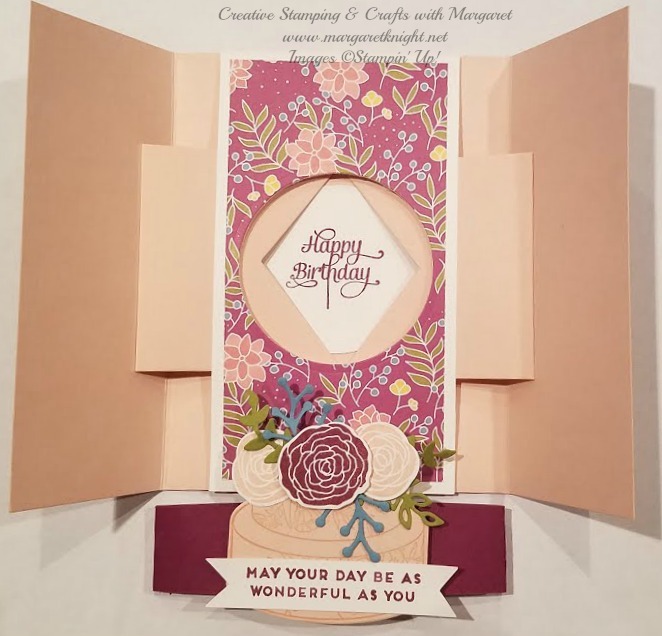 One of the cards highlighted the Sweet Soiree Specialty Designer Series Paper (DSP) and the Cake Soiree Stamp Set/Sweet Cake Framelits Bundle. When designing the card for the class, I selected to make a shutter card as it truly highlights the beauty of the DSP and the stamp bundle. Thanks for stopping by! Check back soon for more samples from the class. One of my favorite stamp sets in the newly released Stampin’ Up! Holiday Catalog is Painted Harvest. The sunflower stamp can be used with a variety of colors to create beautiful stamped flowers. 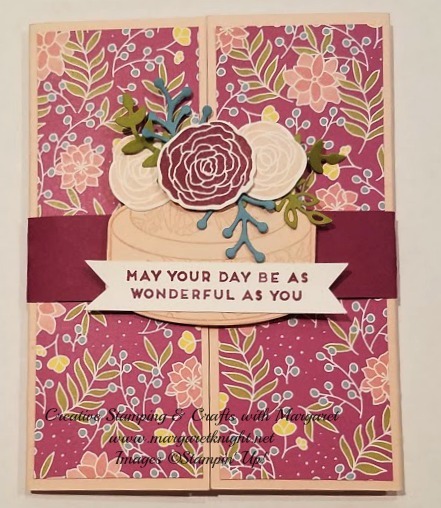 In a recent class, I decided to mix it up and use colors that coordinated with the Naturally Eclectic Designer Series Paper (DSP). 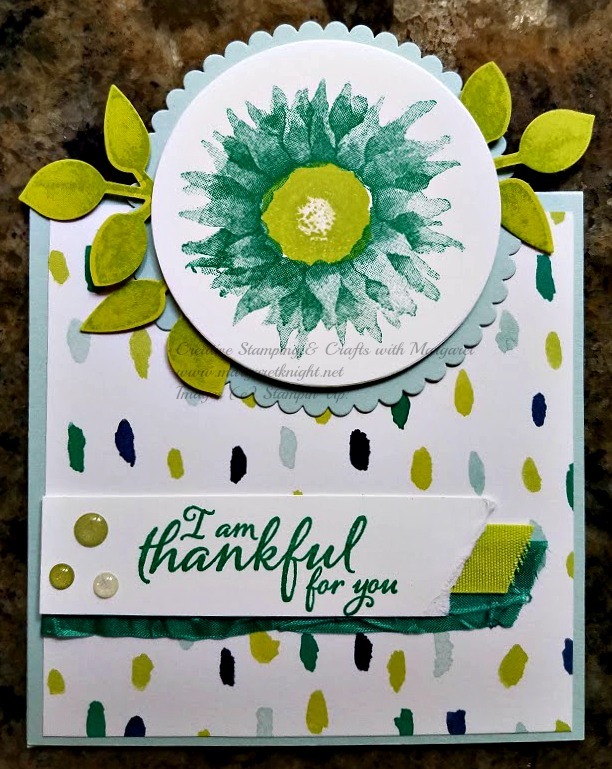 Don’t you love the look of the flower stamped using Emerald Envy and Lemon Lime Twist inks? Note that the flower stamp is a Two Step stamp and the first step stamp may appear to only partially stamp. This actually is the way the stamp is designed and not a flaw with the stamp. When the second step is stamped, the flower becomes complete. It’s also recommended that when using photopolymer stamps to use a piercing mat to ensure even pressure when stamping. The fun fold card design was CASED from Janet Wakeland with just a few slight modifications. Thanks for stopping by and check back soon to see another project. As always, contact me if you have questions or would like to order products for creating projects yourself! Note: You can print off the Supply List below Project Materials for items used for today’s project.